CIA Director Mike Pompeo: North Korea moves towards missiles at 'ever-alarming' rate, but conflict not yet imminent. CIA Director Mike Pompeo said there is "no imminent threat" of nuclear war with North Korea, but warned the rogue nuclear power was gaining strength at an "ever-alarming rate." In an interview with Fox News on Sunday, Pompeo said, "There's nothing imminent today. But make no mistake about it, the continuation, the increased chance that there will be a nuclear missile in Denver is a very serious threat and the investigation is going to treat it as such." "What I’m talking about is I’ve heard folks talking about being on the cusp of a nuclear war. I've seen no intelligence that would indicate that we’re in that place today." However, he noted, "it is probably fair to say that they (North Korea - ed.) are moving towards that at an ever alarming rate." This isn't a surprise though, he said, noting that "it’s not moving faster than policymakers knew." "The intelligence community has actually had a pretty good picture. Can we predict days or weeks? No, certainly not. But we have certainly had a pretty good handle on the work that’s been done to develop these system of systems." Does Pompeo think US President Donald Trump's rhetoric is unnecessarily fanning flames? 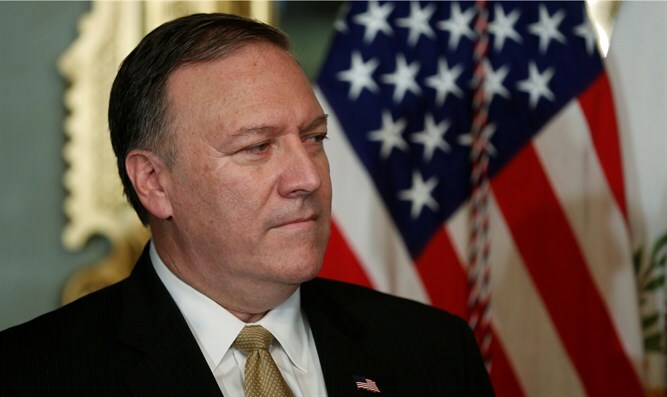 "The president has made it very clear to the North Korean regime how America will respond if certain actions are taken," Pompeo said. "We are hopeful that the leader of that country will understand them in precisely the way they are intended, to permit him a place to get where we can get the nuclear weapons off the peninsula. "It’s that straightforward. What we need from an intelligence perspective, what is most important is that our communications are clear that the fella who intends to inflict pain on the United States of America understands the US position in an unambiguous way. "That’s the best message you can deliver to someone who’s putting America at risk. "I’ve heard some say, I think Susan Rice said, 'We just need to learn to live with this.' President Trump finds that unacceptable. This is not a leader for whom containment is a policy that makes sense for American national security." Meanwhile, Russia's Foreign Ministry spokesperson Maria Zakharova disagreed with Pompeo. In her opinion, the US and North Korea are "very close" to a confrontation. In an interview with the Russia-1 TV channel, Zakharova said, "How close have we come to this situation? Yes, we’ve come very close to a possible armed conflict." "If there really is an armed force scenario and if everything indeed happens the way the Washington establishment is trying to scare us all with, the situation will be simply catastrophic. "The representatives of the establishment, the senators, they try to say to the public that they will not even have to worry about it, because people will die not in the US, but in other countries, though not just in North Korea. "I think they are thinking of South Korea as well."